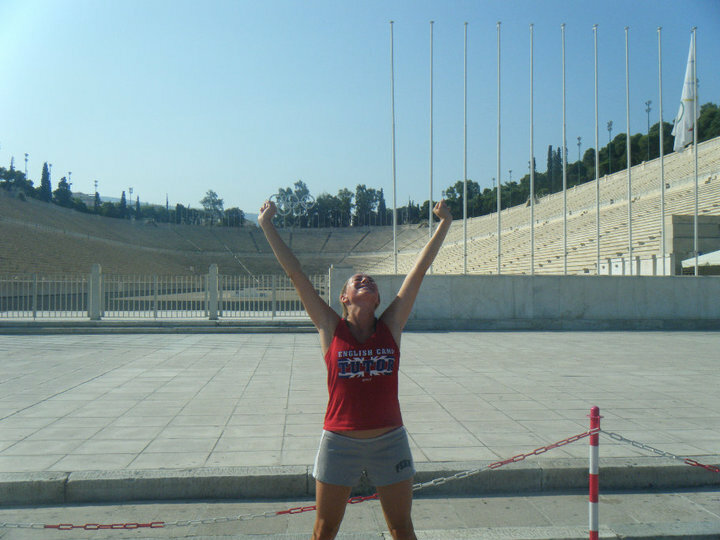 Finishing a run at the Olympic stadium in Athens. I scrupulously hoarded my money for a year prior to my journey, coveting $5 bills the way Gollum lusts after his “Precious.” I also researched independent traveling to the point where I found myself perspiring over the REI backpack selection, trying to find the recommended, “breathable 60-liter pack with an alternative opening and swiveling base.” Whatever that means. Regarding the unplanned aspects of my trip: Venturing without a restricted round-the-world air ticket – or any other booking made months in advance – proved ideal. This freedom-friendly route required more planning and legwork while I was on the road, but it allowed me to choose my path. You never know what opportunities and travel companions you’ll meet. In my 25th year, I travelled through 25 countries. Reflecting at Plitvice Lakes in Croatia.